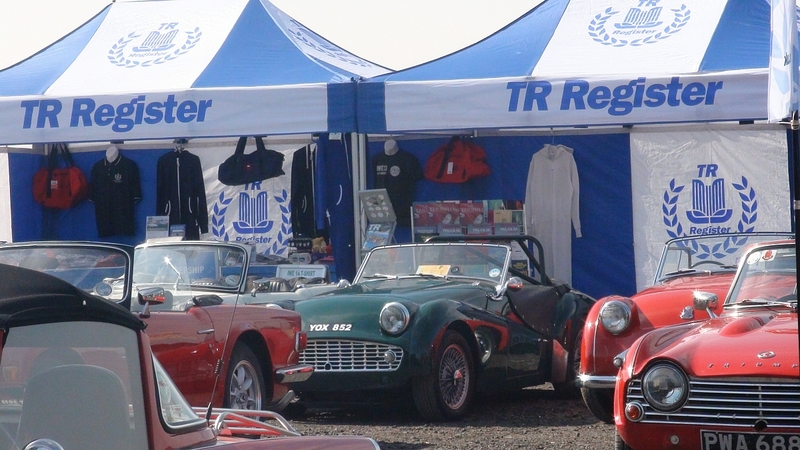 The TR Register scooped up the "Best Club Stand Award" at Donington Historic Festival. A huge thank you to Brian and the rest of the TR Register team for all their efforts. Brian picked up the award for our club stand at this years Donington Historic Festival. As usual it was a day to remember for TR Register members and historic motoring enthusiasts, this year including a flyover from the Battle of Britain Memorial Flight - we're already looking forward to the next event in 2013. To learn more about the Donington Historic Festival, and to see updates from this years event please visit www.doningtonhistoric.com.